Central European Financial Observer > CSE and CIS > Croatia > Adriatic-Ionian pipeline back in game? Adriatic-Ionian pipeline back in game? The summit of the Three Seas Initiative (TSI) in the Romanian capital Bucharest showed an important thing: the Initiative is not only economically interesting, it is turning into a serious project. 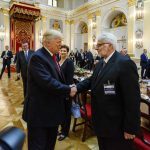 The TSI was a political platform, as it was launched by the Croatian President Kolinda Grabar Kitarović and Polish President Andrzej Duda in 2015. 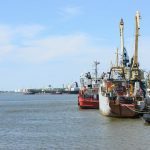 It includes 12 EU member states between the Baltic, Black and Adriatic Sea (Bulgaria, Croatia, Czech Republic, Estonia, Hungary, Latvia, Lithuania, Poland, Romania, Slovakia and Slovenia). The main aspiration of the countries involved in the Three Seas Initiative is to establish economic cooperation, which has so far been neglected, in the area between the Baltic, the Black Sea and the Adriatic, especially in the light of increasingly complex international opportunities. The objectives of the Initiatives are to improve the interconnection within the region in the area of energy, transport infrastructure and digital communications, as well as reduce the gap between Western and Eastern Europe. One of the major projects should be Via Carpatia from Baltics to Thessaloniki. The Croatian president presented in Bucharest 11 Croatian projects, among which the most difficult — construction of the Adriatic-Ionian gas pipeline. The Three Seas Initiative is the most significant foreign policy project of the first mandate of Croatian President. 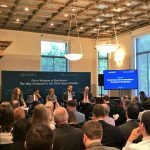 She seeks to fulfil her pre-election promises and shift the focus of foreign policy from the Western Balkans to Central and Southeast European (CSE) countries. Although the project has been the subject of criticism, it seems that it has passed the initial defeats and that it could show full potential in the coming years, primarily thanks to the strong support of the United States. The success of the Initiative will surely be her great victory. Germany was also present in Bucharest, together with the head of the European Commission, which gives further accents to this Initiative. The Adriatic-Ionian gas pipeline is the most interesting project that have been popping up in the Croatian and SEE public for some time now. A difficult part of it is that countries should collect some EUR600m, which might be unsurmountable barrier for Albania, Croatia and Montenegro, i.e. the countries included in the project, as they may have problems with finding bigger and financially viable investors. The plan is to link the Adriatic-Ionian Gas Pipeline (IAP) to the existing Croatian gas system, via Montenegro and Albania with Trans Adriatic Pipeline (TAP). It is a wider project of the so-called South Gas Corridor that plans to deliver gas from the Caspian Basin, more specifically from Azerbaijan, to the European Union, in order to reduce dependence on Russia. It is a project of strategic importance for the European Union, in which, besides economic, there are political motives that have not so long ago destroyed the Russian South Stream project. The goal is to strengthen the energy security of Europe and thus reduce the blackmailing capacity of Russia in the countries of Eastern Europe, some of which are almost entirely dependent on Russian gas. Specifically, the Southern Gas Corridor is a priority project for the European Union and is the link between Trans Adriatic (TAP), Transanatolian (TANAP) and South Stream gas pipeline (SCP), which will provide gas for Europe from a completely new source in the Caspian region and the Middle East, the world’s largest gas reserves. The entire construction project for all three gas pipelines is worth USD45bn. Transanatolian gas pipeline brings natural gas from Azerbaijan through Georgia and Turkey and is then transported to the Turkish-Greek border, from where TAP starts, which supplies gas through Greece to the Albanian coast. There, in the city of Fier, TAP crosses the Adriatic and connects to the Italian gas network, while the other IAP, through Albania and Montenegro, goes to Split to join the Croatian gas network. The TAP project, worth EUR4.5bn, was officially signed in 2013 in Baku and the possibility of construction of the Adriatic-Ionian trench has been mentioned since then. In February 2018, the Fourth Ministerial Meeting of the South Gas Corridor Advisory Council was held, when a letter of intent on establishing a project company of the Adriatic-Ionian gas pipeline was signed. At a recent meeting of Azerbaijan President Ilham Aliev with Ms. Kitarović, there was a discussion on the IAP project. Croatia has taken a decision to open an embassy in Baku, which would make the aforementioned process easier. Croatia wants to become a gas supplier for the Central Europe via the Adriatic-Ionian pipeline along the Adriatic coast, while the LNG terminal on the island of Krk could be of interest to Azerbaijan as the entry point for the energy market of Central and Southeast Europe. TAP will be 878 kilometers long (Greece 550, Albania 215, Adriatic Sea 105 kilometers and additional 8 in Italy), and it should be completed by 2020. TAP’s shareholders are BP (20 per cent), SOCAR (20 per cent), Snam S.p.A. (20 per cent), Fluxys (19 per cent), Enagas (16 per cent) and Axpo (5 per cent). The European Bank for Reconstruction and Development (EBRD) is considering the possibility of supporting the project with a EUR500m loan for TAP, and the European Investment Bank (EIB) in February has given a loan of EUR1,5bn to fund the project. 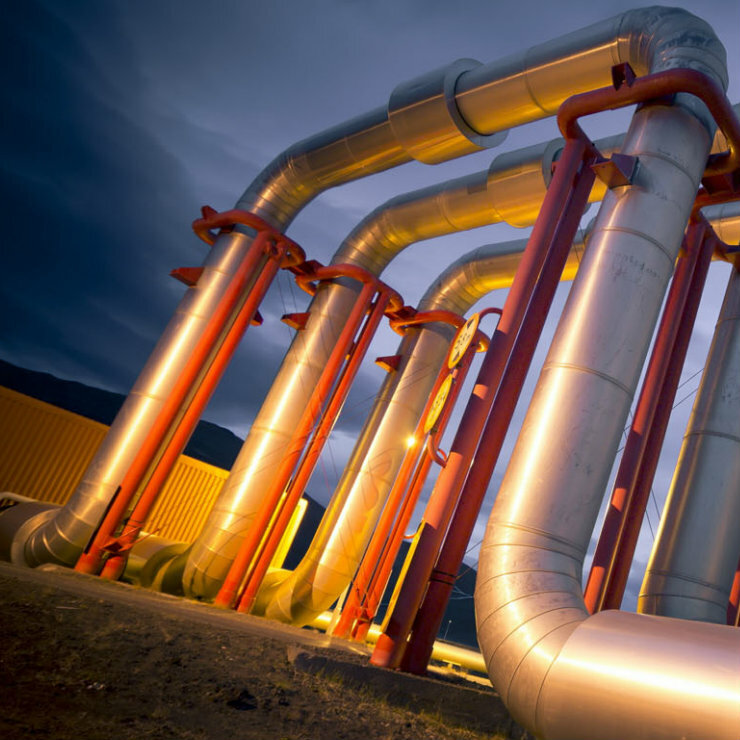 Croatia considers TAP as an important part of the Southern Gas Corridor and one of the gas pipelines that will contribute to the diversification of supply and the security of supply for Europe. By implementing TAP, opportunity to realize the IAP project is becoming greater. The realization of the Adriatic-Ionian gas pipeline would definitely fulfil one of the goals of the Croatian energy policy, which is the diversification of energy supplies. 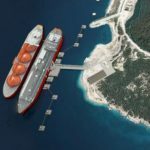 At IAP it would be possible to connect LNG on the island of Krk. The total length of the gas pipeline from Split to the Albanian city of Fier is 511 kilometers (the length of the Croatian section is 252 kilometers). The IAP is planned at about five billion cubic meters (bcm) of gas annually, and Croatia will receive half of that amount, about 2.5 bcm. The Adriatic-Ionian gas pipeline would be a great opportunity for Croatian Mediterranean orientation, but the narrative in Croatia is focused on the CSE. Still, Croatia is active in the Adriatic-Ionian Initiative (AII). First success of this Italian initiative was the Maritime Strategy for Adriatic and Ionian Sea in 2012, which would govern the maritime environment and coastline. In 2014, the EU Strategy for Adriatic-Ionian Region (EUSAIR) was introduced, with Blue Growth, Connecting the Region, Environmental Quality and Sustainable Tourism as the main pillars. Croatia perceives its role as a bridge between the Danubian and Adriatic-Ionian region, as a part of both macroregional strategies. Key areas of cooperation for Croatia are the energy supplies, the solution of incomplete linkages within the transport routes and the development of ports and rural areas. Croatia also makes a large part of the 1,100 km long Adriatic-Ionian Motorway that plans to connect Milan, Trieste, Rijeka, Zadar, Split, Dubrovnik, Bar, Durres and Athens, as another project on the southern flank of the TSI.